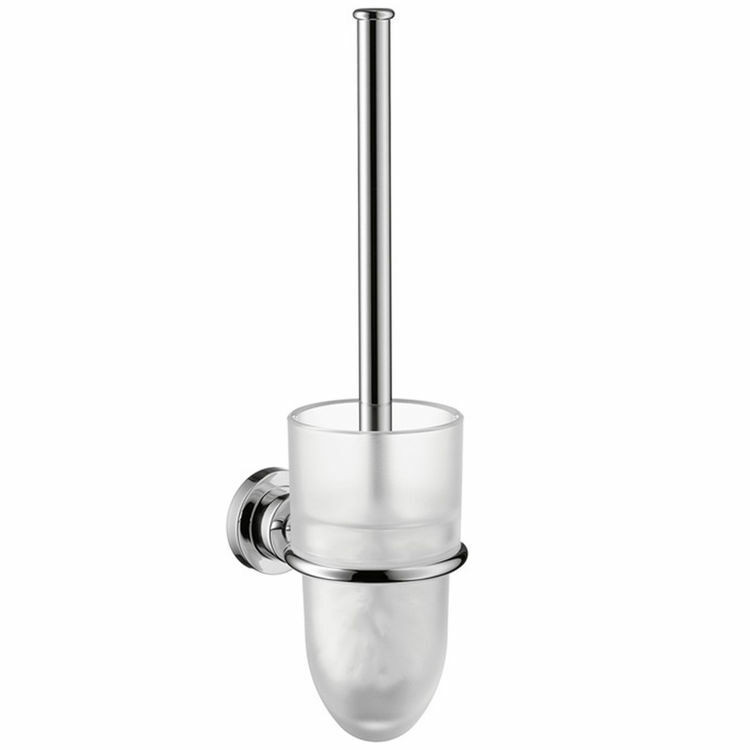 The Axor Citterio 41735000 Chrome Toilet Brush With Holder is the perfect solution if you are looking for a functional and stylish accessory for your bathroom. Its chrome finish is guaranteed not to corrode or tarnish. The white finish makes it look classy and elegant in any bathroom setting. This product blends well with other bathroom features. This Axor Citterio Toilet Brush with Holder saves a lot of space in your bathroom floor. The toilet brush comes in white and is easy to clean, use, and keep germ-free. It includes a cup to readily accommodate the toilet brush. It is made of long-lasting materials that do not compromise beauty. Mounting accessories are provided for a sturdy and permanent installation. The Axor Citterio Toilet Brush with Holder assures a lifetime of use and will timelessly provide that sleek, classic, geometric elegance. More details are available in the specification sheets. Axor Citterio is a bathroom collection that allows you to choose from their numerous elegant and luxurious bathroom products so that you could design your bathroom according to your liking. Axor has been behind the beautifully designed quality showers, faucets, and other bathroom fixtures since 1901. Shipping Dimensions 15.2" x 9.1" x 3.8"
Shipping Dimensional Weight 2.93 lbs.